Dealing with car salesmen can be like going into a shark tank, but instead of literally taking an arm or a leg they only try to make you pay an arm and a leg. With the right information though you can get a great deal and leave the salesman feeling a little cheated, which is always oh so satisfying. It’s always a good idea to know what vehicle you want before you go to the dealership. Like with any business, car dealerships have their own agenda so the salespeople might show you a car they don’t truly think is the best option for you just because there is more incentive for them to do so. If you already have a car in mind you won’t have to worry about them trying to show you that P.T. Cruiser in the back they’ve been trying to get rid of since 2005. There’s nothing car salesmen hate more than an informed buyer. Knowing the average price, reviews, and features for a vehicle will help you determine the value without counting on the dealership employee to provide you with one (which would likely be even more inflated than their ego). One of the tactics used in car sales is to bring emotion into the equation. They will likely try to sell you on the lifestyle that the vehicle will give you, for example they’ll play up how useful a mini van will be for a soccer mom or how great the rugged, off-road truck will be for camping and outdoor excursions for an outdoorsy person. If you let on that you really want the vehicle they’ll be less likely to give you a good deal because they now know how badly you want it. Bonus points if you can convince them that the vehicle is terrible and you’re doing them a favor by buying it. 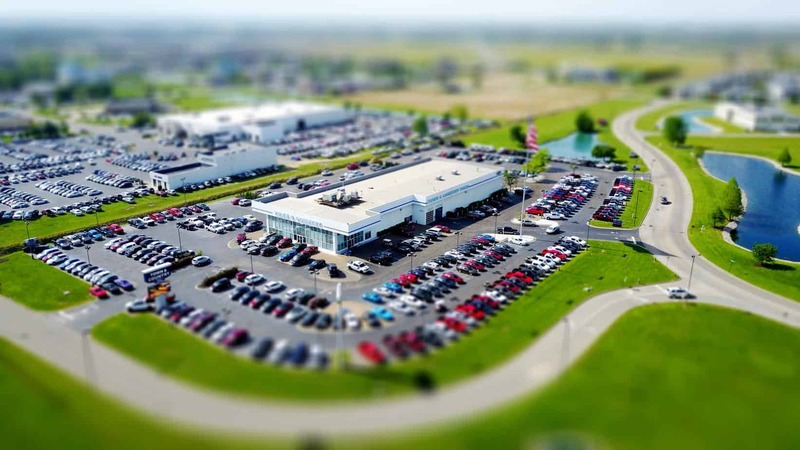 When it comes to a purchase as big as a vehicle you should go to multiple dealerships to see who can offer the best deal. One of the best ways to insure you’re getting the best deal is to get a written offer from one dealership and take it to another to see if they can beat it. All dealerships want your business so they will go into a bidding war to get it. If the new dealership can beat the offer then you can go back to the original one or a new one with the newly acquired price and see if they can beat it. Rinse and repeat as necessary. If you’re still not satisfied with the deal they’re offering after negotiating don’t be afraid to walk away. Give them your contact information and tell them to contact you if they decide they can give you a better deal. Spoiler alert: they probably will, especially if they’re close to the end of a sales period and need to make their sales quota or have to make room on the lot. This is one of the most important parts, but is often overlooked. Having good credit can SUBSTANTIALLY reduce the monthly payment for the vehicle, which could equate to thousands of dollars over the course of the years you’re paying for it. As I’ve mentioned before, car salesmen have a tendency to be a little sneaky, so be watchful of their tactics to get the upper hand. One example is sometimes you’re better off selling your current vehicle in a separate transaction. This is because it’s easy for the amount you’re receiving for the trade-in to get lost during all of the negotiation and you won’t actually receive the full value it’s worth. For example they might give you an $8000 credit towards a new car for your trade-in but in reality you could’ve gotten $8000 cash. Seems the same, right? Not quite. The $8000 credit might actually be composed of $6000 for the vehicle and a $2000 discount that they would’ve given you regardless of a trade-in. If you get the cash, you have $8000 to put towards the new vehicle and the negotiations for the new vehicle haven’t even begun at that point. That means you have a higher likelihood of getting a deeper discount. Another thing to know is that used cars are where dealerships make a significant portion of their profits. Prices are marked up by quite a bit after they purchase them, so they usually have more wiggle room in price for used cars compared to new. If they say they really can’t go any lower on the price for a used car they’re probably not being honest. By already being approved for an amount you’ll know what you can afford and have a number that you know you can’t go over. You’ll have an APR (interest rate for the loan) given by the bank or wherever you acquired the loan, so you can go into the dealership and see if they can beat it. The knowledge of how much you’re going to be paying each month can be helpful in planning your budgets and give you a better perspective of how much the vehicle will truly be costing you. The financing part is what takes up most of the time, so if it’s already done you can get out of there much faster and get on with your day instead of spending all those hours with your new buds at the dealership. If they won’t come down on price that doesn’t mean the negotiating is over. You can see if they’ll give some other freebies such as a longer warranty, free oil changes, or extra accessories for the vehicle. Even a third set of keys would be a nice addition, so you don’t have to worry as much if you lose a set or drop them down a drain.